After an earlier unsuccessful attempt to visit Hardware Societe we headed back to Hardware Lane keen for some of the breakfast goodness we’d been drooling all over @breakfastinmelbourne’s Instagram page. This time we managed to get a seat with just the two of us, though there was a line for bigger tables. The host was efficient and just a little flamboyant, seating us outside so unfortunately we didn’t even get to set foot in the store, but the alluring glimpses stolen over the heads of other diners was enough to assure us that we would have loved it if we did. 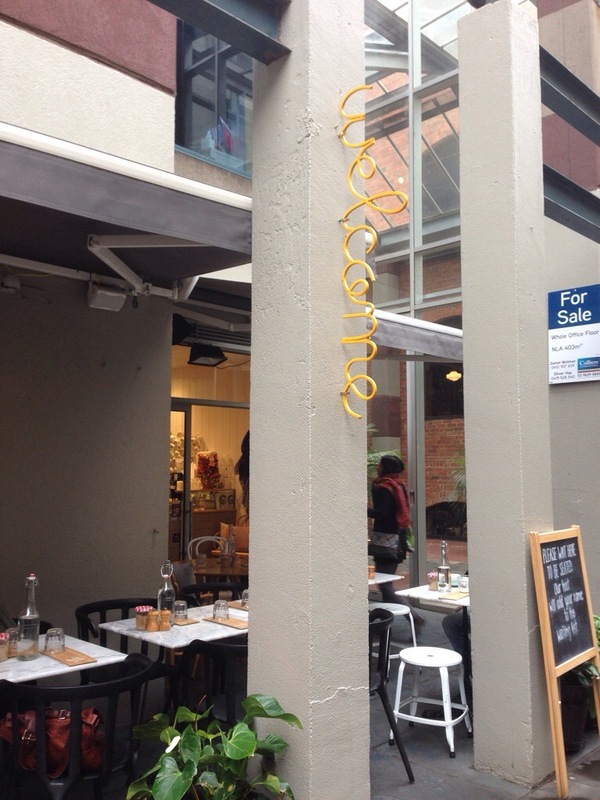 The Melbourne weather was unseasonably pleasant, and the outside tables were quite a nice place to be. We found the coffee to be fantastic. It was creamy with a more mellow and subtle flavour then some of the others we’ve had around Melbourne, but a great way to start the morning. Plus it was served with a cute little sugared donut, a quick way to win our hearts. The menu at Hardware Societe changes depending on the day, mid week there’s a breakfast and lunch, though on the weekend there’s an all day brunch menu, and they also offer specials which your host will run you through when you’re seated. Our food came very promptly after we ordered, and we were mightily impressed with the efficiency of the service and kitchen, its obvious they are used to the huge crowds their reputation draws. 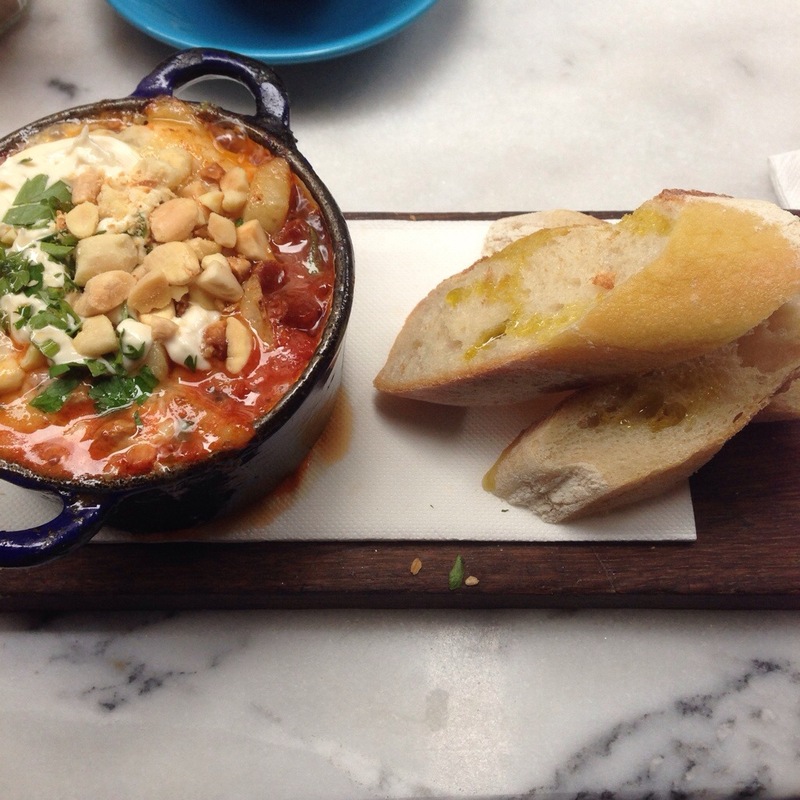 We started with the ‘Baked Eggs Deux’, the second way the menu offered baked eggs. It looked an absolute treat when it arrived at the table, three baked eggs in a steaming, bubbly pot containing cheese, chorizo and potato sticks. The eggs were cooked to perfection with the yolk spreading its gooey goodness and there was entry to go around. We liked the use of potato sticks instead of chunks, and every bite tended to have that chorizo flavour explosion. The cheese tied it all together, the result being an absolutely delicious dish that warmed you from the inside out. 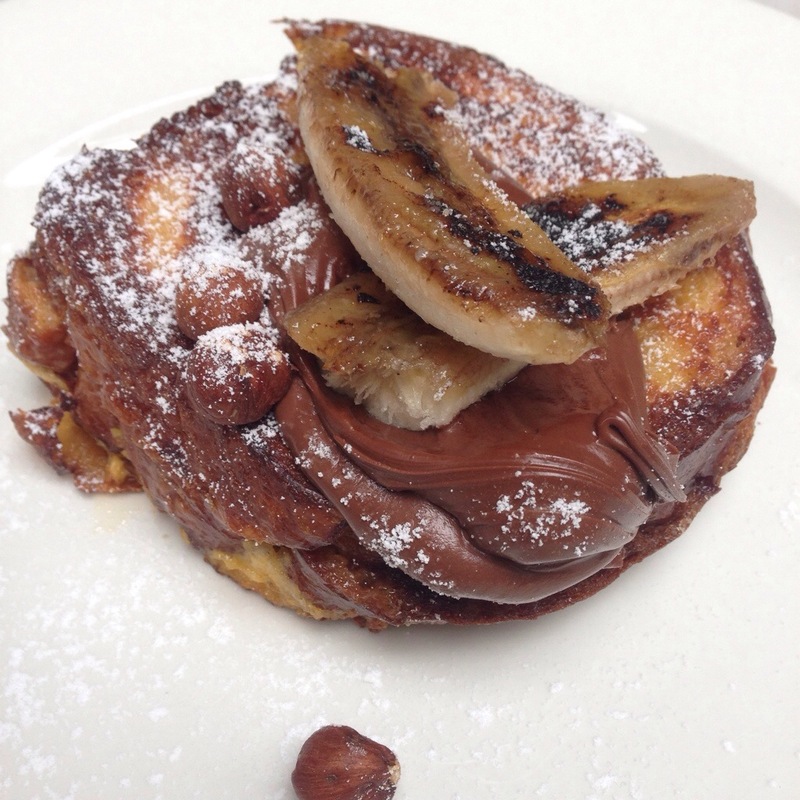 Upon hearing the specials it became quickly apparent that the menu wouldn’t need to be consulted for one of our decisions, the words ‘Nutella brioche french toast’ is not something one can readily ignore. Everyone loves Nutella, and it may seem too ordinary to order a dish that’s essentially Nutella on toast, but this was something else. The toast sandwiched the Nutella in the centre, making a warm ooze seep from the edges, while a mountain of Nutella sat on top. It’s almost like the amount of Nutella you’ve always wished you could have for breakfast but have never dared to try, and believe me, it is every bit as good as you think it would be. Not only that, but there was caramelized banana and toasted hazelnut to go with it, there’s almost no words to describe this dish, it looks amazing, and it tastes even better. It was one of the most indulgent french toasts we’ve had in some time and there’s been some thrillers of late! 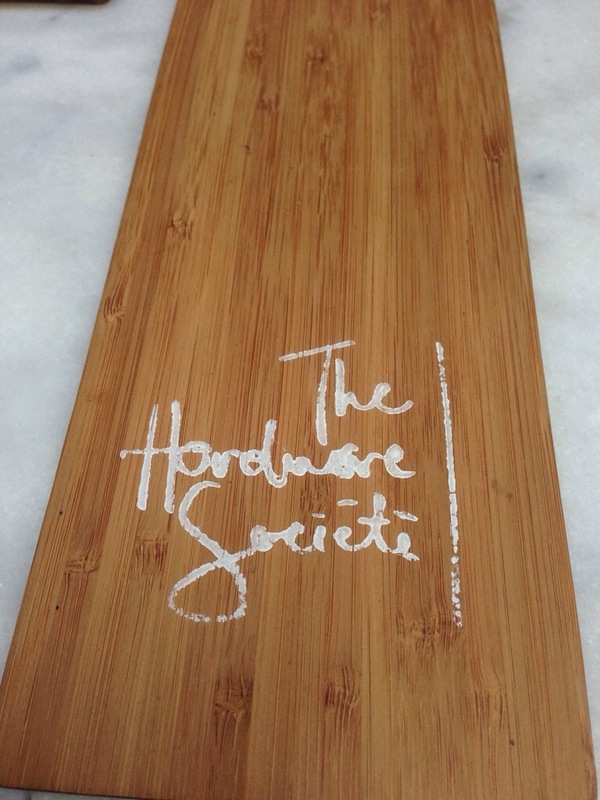 Hardware Societe lives up to their reputation and more, they are the kind of place that you wait in line for salivating at the feast to come. 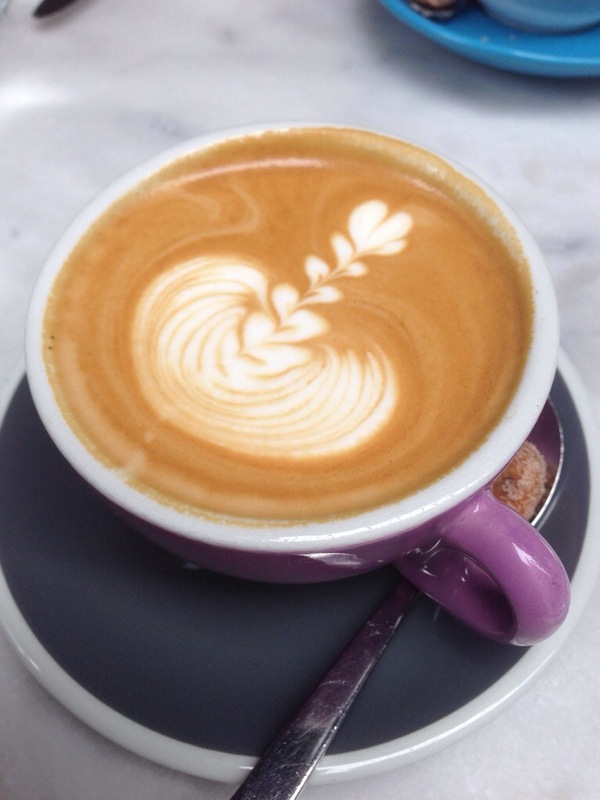 Whether you’re on a trip from the large country town otherwise known as Perth, or live in the wondrous city of Melbourne you absolutely must pay this cafe a visit! You make me want to go inside even more!